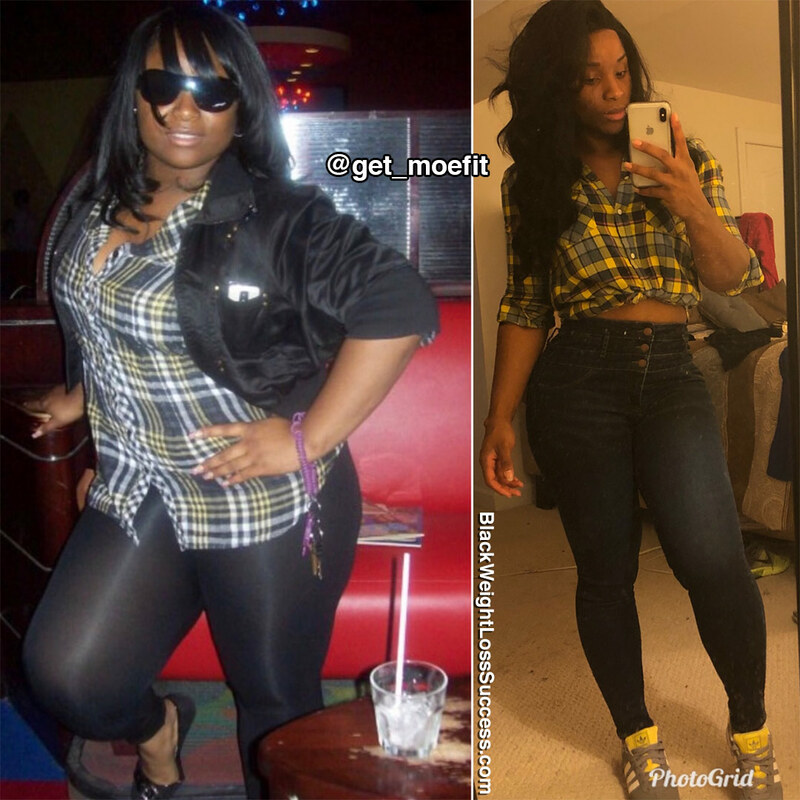 Transformation of the Day: Monique lost 67 pounds. 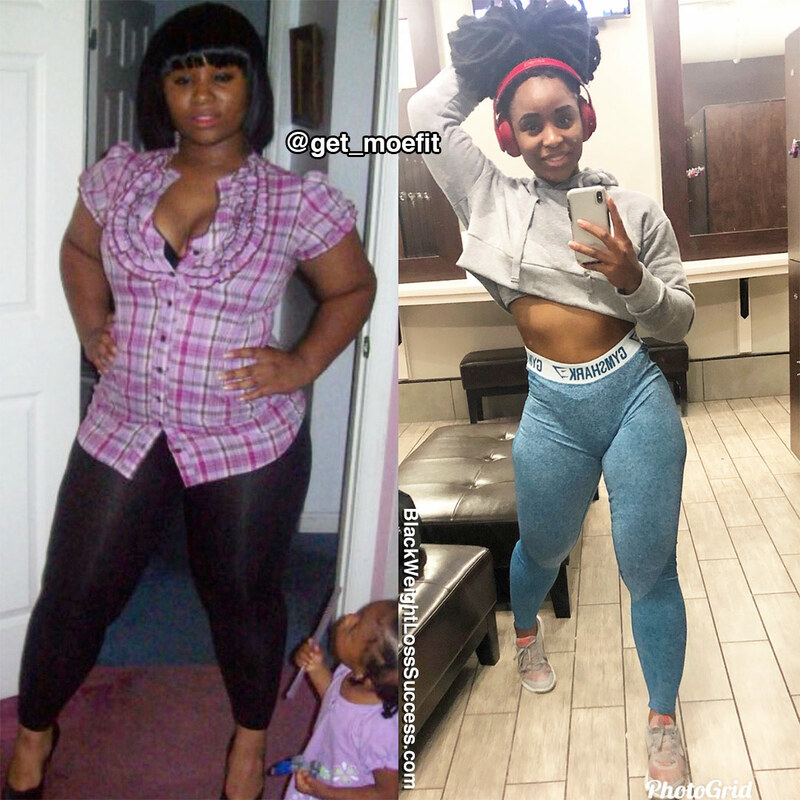 Over the course of 10 years, this young lady has truly transformed her body by eating for life, hitting the gym and making smarter choices. She said no to quick fixes or fads, in favor of focus and hard work. Check out her story. I am 29 years old, and I currently live in the DMV area. When I am not at the gym trying to stay in the best shape, I enjoy reading and writing poetry, spending time with the one I love, and enjoying life with my friends and family. In 2009, at age 19, I reached my highest weight of 235 pounds at 5’4″. I didn’t realize that my life was literally just beginning at this time. I wasn’t happy with what I saw when I looked in the mirror, so I decided it was time to make a change. I realized that I was overweight. The lifestyle I was living could have led to health problems or spending more time at the doctor’s office than with the ones I love. Not only did I want to lose weight, but my initial “why” also was to prove people wrong. I was told early in life that I would be fat and miserable my whole life. I was told no one would want me, and that I wouldn’t be successful. Sadly, for some time, I believed these things due to who the source was. With time, I began to want something different. I wanted to show people that I wouldn’t always be overweight. I have discipline and will. I could be happy and beautiful. I started with a no carb diet, cutting out almost all carbs including fruits and bread. I worked out 6 days a week from home with the Jillian Michaels workout videos. I chose to start at home in a place of comfort because going to the gym was intimidating. I didn’t want people to see me jumping around and sweating due because I feared that I would be judged. In the first two months, I achieved excellent results. I lost 40 pounds and was happy about getting under 200lbs. Though I loved my results, I felt like I was stuck in the 190s. In 2012, I wanted to change. I fell in love with the way fitness made me feel. I wanted to go harder, be faster, be stronger, and understand what health and fitness were all about. I began going to the gym and incorporating weights into my routine. I made an even bigger decision to stop dieting, stop supplementing and cut out detoxes and quick fixes. I decided to listen to my body and create a health-conscious lifestyle change. No counting calories or meal plans, just eating for life and making smarter choices. Prior to my journey, I only ate once or twice a day, and I never ate breakfast. I did my research, found healthy meals that I would enjoy, and began eating three times a day. My newfound eating habits helped me go from a size 16 to a size 7. My new nutritional choices helped fuel my day and gave me the energy and balance that I needed for continued progress. I increased my water intake, and cut out junk food, red meat, and sweets. I also got plenty of rest and began removing toxic things and people from my life. I worked out 5 days a week, incorporating light weight lifting and a lot of cardio. I set daily, weekly, and monthly goals for myself. Every time I achieved a fitness goal, it motivated me to set higher goals and fueled my passion and determination to continue to elevate my standards. I dropped down to 157 pounds (at my smallest) by late 2013. I felt accomplished, and I held that weight until 2016. Then, decided to thicken up a little and get stronger. I changed my distance runs to HIIT workouts and heavy weighted cardio routines. Now, in 2018 at the age of 29, I weigh 168 pounds. When I want to get smaller, I’ll just increase my cardio and possibly watch my carb intake. I work my behind off in the gym and go all out to succeed. I eat clean 85% of the week, but I don’t beat up on myself if I want to indulge and enjoy a treat. I just don’t do it often or create bad habits. I have found balance and what works for me, which is very important to everyday life. Am I perfect? Far from it, but I stay consistent, determined, and focused on achieving whatever results I am looking to achieve. I am forever a work in progress. I am always open to evolving and becoming a better me. Even with great eating habits and fantastic workout routines, losing weight was not an easy process. I struggled mentally until I figured out this was my journey, not anyone else’s. I always looked at myself thru the eyes of others. Along the way, I’ve removed those lenses and began to see myself for me. I realized the importance of self-love. Now, my inner and outer beauty is not defined by the thoughts and opinions of others. I fell in love with myself and realized that everything I wanted and needed, I already had. This journey has also taught me the importance of self-purpose. I finally understood that I have to live my life for me and base my goals on the dreams and ambitions I have for myself. I’m not trying to prove anyone wrong, but prove myself right. Initially, I started this journey for myself, but I learned something about myself along the way. I learned that I could inspire and motivate others. I can share my message and positive energy with someone else to help change their life for the better. I began to gravitate towards more positive people and attract more positive people. I’ve met more and more people like myself and used their inspiration as motivation. I began teaching other people the lessons I learned along the way and the possible pitfalls. My skin, hair and overall mental and physical health improved while my self-confidence soared to places I never dared to think of before. My journey changed me so much that on my off days I still sneak some type of activity in. I also found myself more drawn to more outdoor adventures and events. Lifestyle changes come with challenges. It’s not always easy. However, I’m glad I made the change. I’ll tell anyone that all the struggles, hard work, and slip-ups to get back up, are and will always be worth it. My advice to any woman starting her journey would be to stay motivated and stay in the fight. Starting will be the hardest thing. Once you accomplish that, it is time to figure out what works for you and remain determined to see yourself through. Know that your success is coming and stay determined to achieve your success. Stay hungry for change because that will help you to push through obstacles that will pop up on this journey. Know your true purpose and why you decided to embark on this precious and life-changing journey. No one else can put in the work for you. DO NOT make your journey about anyone else. Always seek wisdom, knowledge, and help when needed. There is more than one way to achieve your goal. No one person, style, or method encompasses fitness for everyone. You don’t need to spend a lot of money on a nutrition system. Do your own research and see what works for you. A lifestyle change is not one size fits all, so do research, observer others, try new things and figure out what works for you and your body. Push through. If it doesn’t challenge you, it won’t change you! Stay motivated. I’m glad you learned to listen to yourself early. I also had “loved ones” telling me I wouldn’t find a job or a man due to my weight. Of course, they were wrong! May God continue to bless you on your journey through life. You’re a true inspiration, thank you.